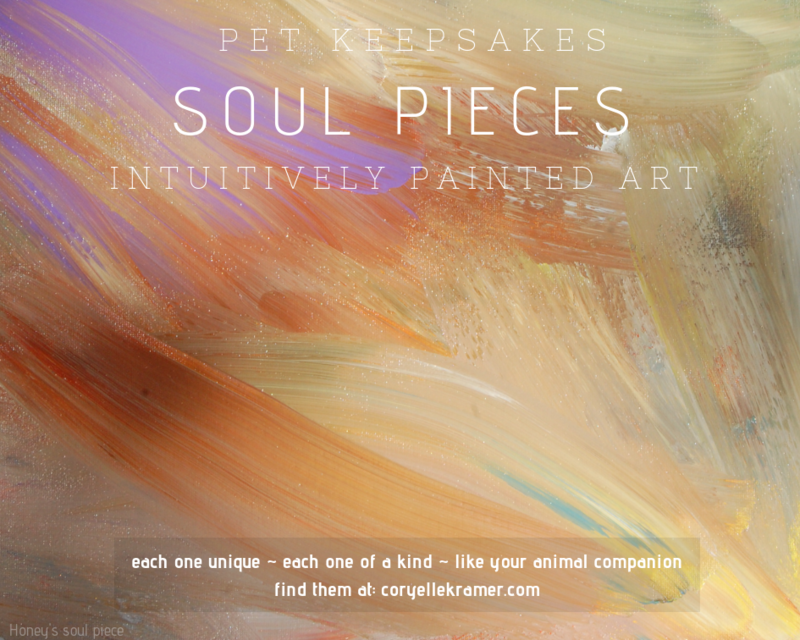 A “Soul Piece” is when I intuitively paint your animal’s soul. It can be for either an animal who’s living or one who has passed on. I connect to them as I would do in a session, and I ask them to show me their soul, and I begin to choose the brushes and colors intuitively. Then I paint their soul and once again I paint using my intuition as well as what you’re animal ask me to paint. The brush strokes, the techniques I use, when to turn the painting and where to paint on the canvas, what colors to use and where, what brushes to use and how; everything is done intuitively. 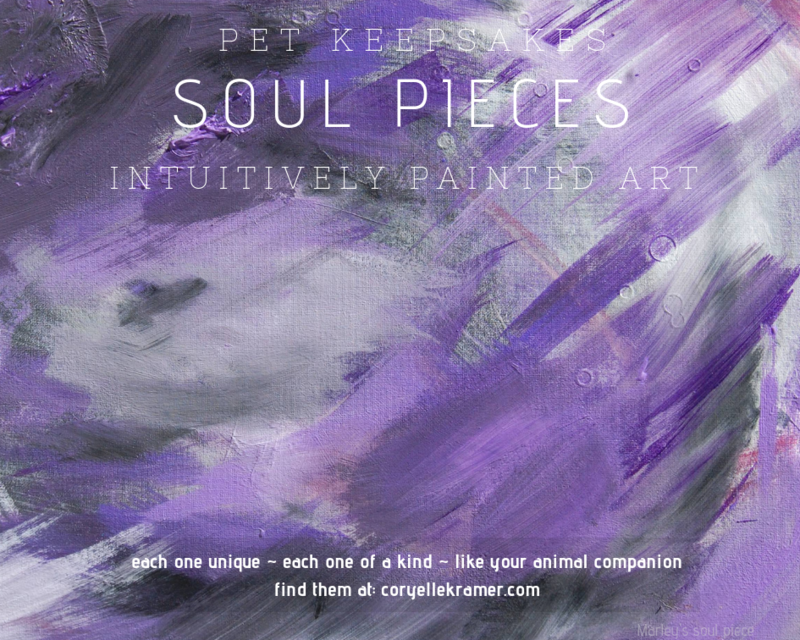 I call them “Soul Piece’s” because they are Piece’s of your animal’s Soul but they are also your animal’s Soul masterPiece as well. 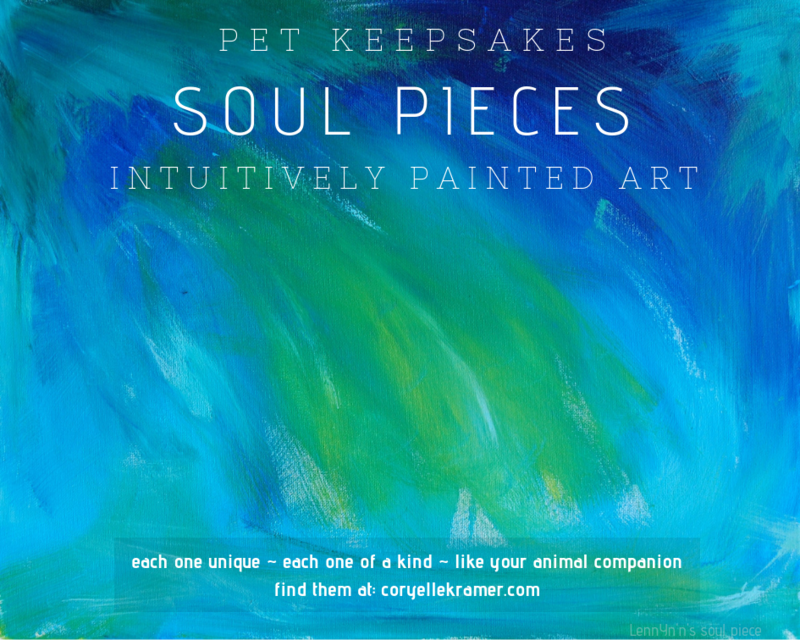 No two Soul Pieces are the same, each is unique and one of a kind as your animal companion. 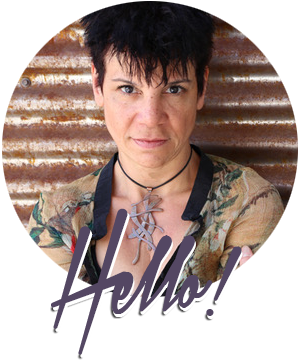 The astonishing thing about a “Soul Piece” is that it is constantly unfolding, and you always see something new and when you turn it, it becomes an entirely different piece. Each Piece comes with a recording with a detailed explanation for each color as well as any and all messages that I received while I was painting their piece. 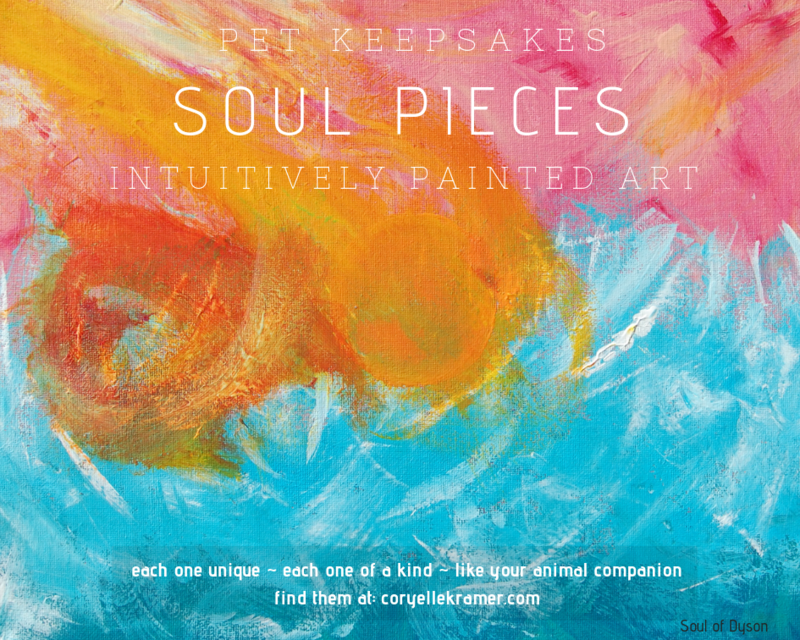 Soul Piece’s can be found in my online shop. 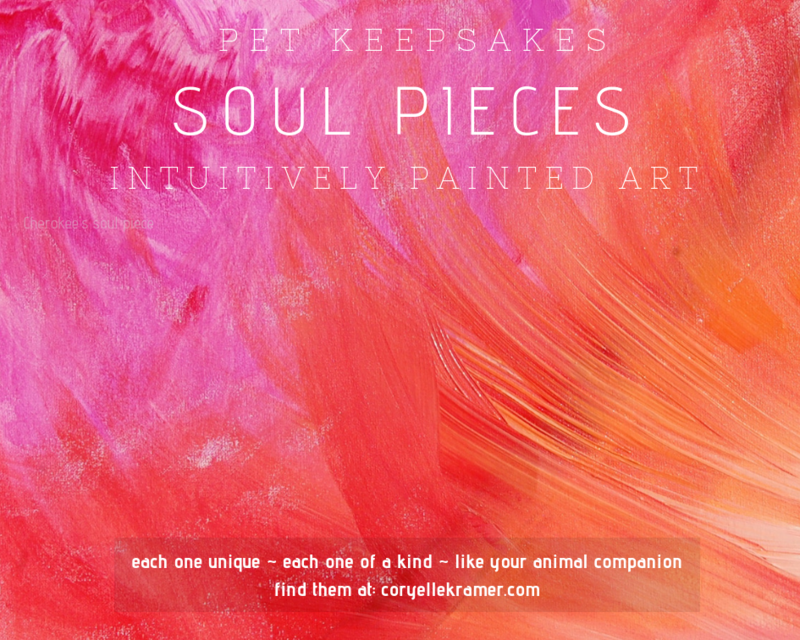 Shipping varies with the size of the canvas and how many you would like, if purchasing multiple canvas’ a separate invoice will be sent when the Soul Pieces are ready to be shipped. Larger pieces ARE possible, please Contact Coryelle or to inquire about shipping OUTSIDE the U.S.
All Pieces are shipped priority mail within the U.S. Pieces can take up to a month to complete. I feel so honored that you posted the photos of my babies! The reading gave me such perspective! It was truly an amazing experience and I have a new respect for each of them. Thank you so much for the reading, you are truly gifted.